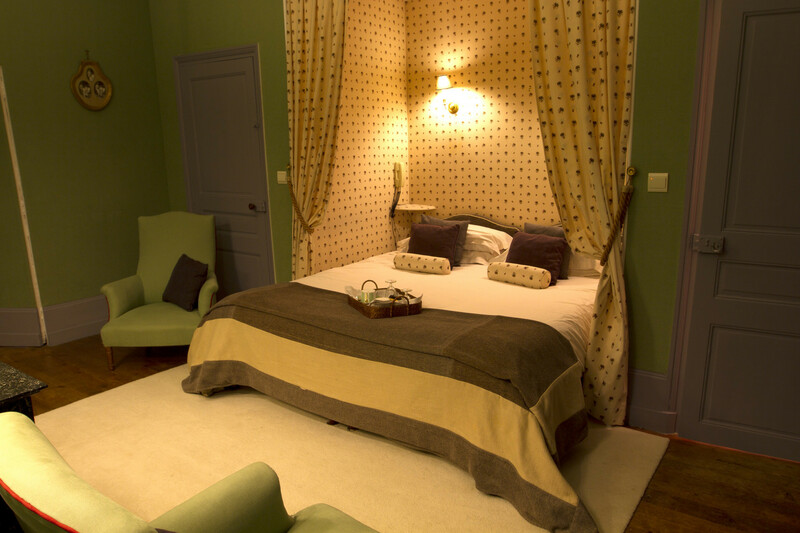 Elegant and refined the 10 bedrooms of the château are presented as individual apartments. 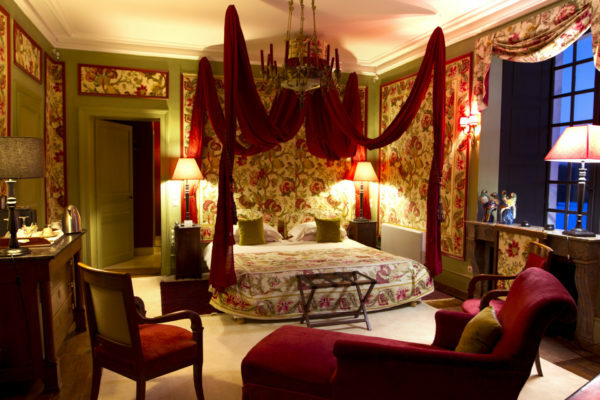 Antique period furniture, four poster beds, alcoves, wallpapers and materials from renown houses. Here charm and authenticity meet. 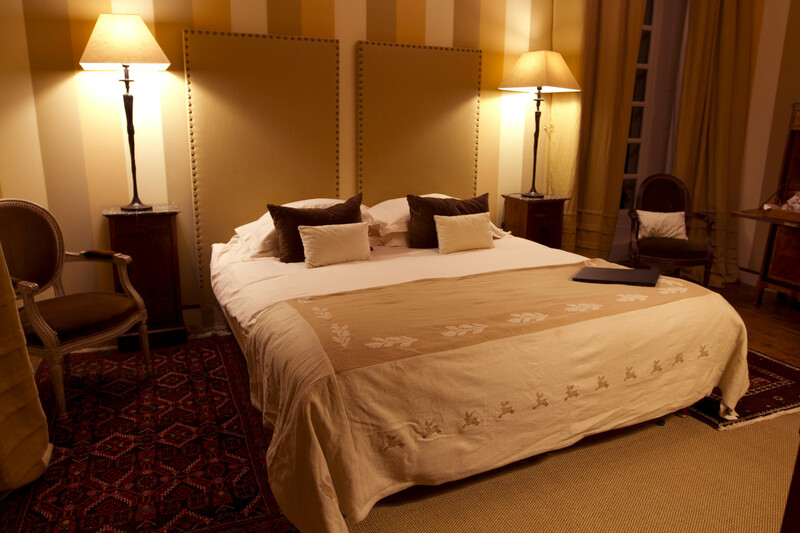 The magnificent comfort is augmented by the fully equipped bathrooms and their views over the park. Comfort :Internet connexion via WIFI , hair dryers, direct telephone, television, safe, baby-sitting and child friendly. 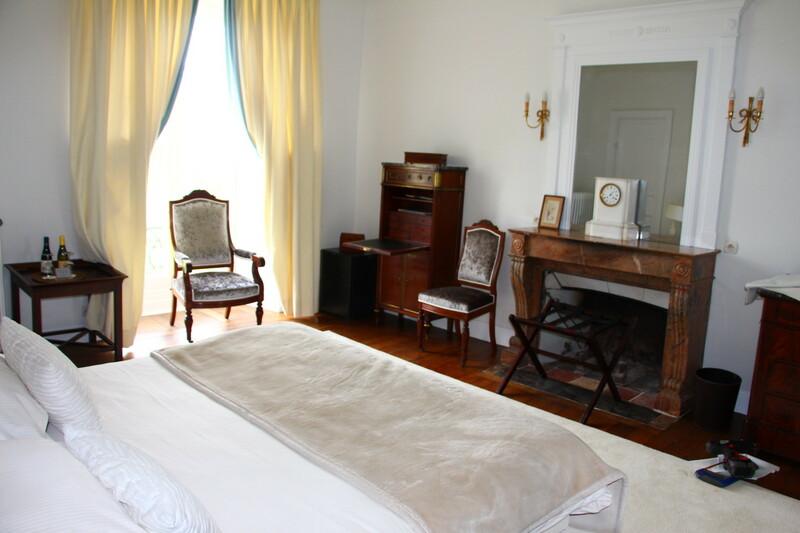 The Fruitier was built in 1850 by our great great Grand-Father and is situated 50 metres from the Château in the heart of the park. 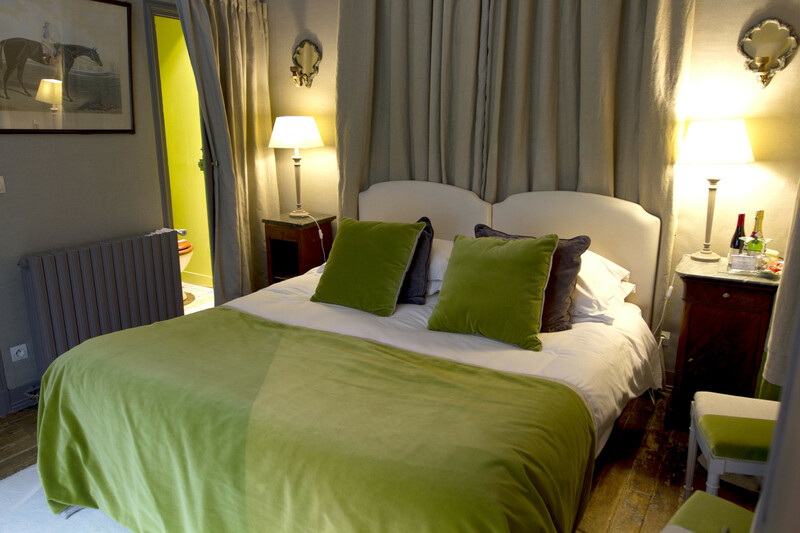 It has 6 tastefully decorated double bedrooms. 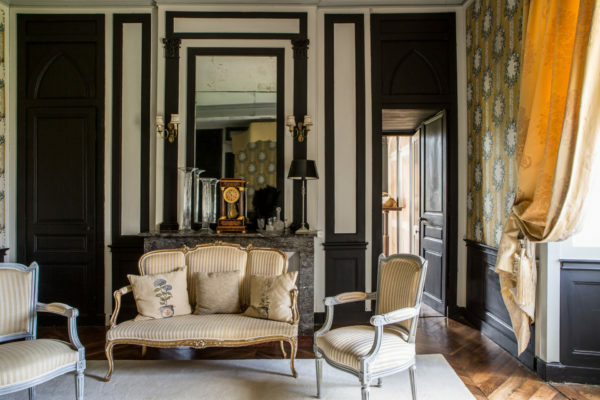 Walls with apparent stone, floors in ancient tiles , a fireplace in tuffeau and huge windows looking across to the château – the Fruitier is a little paradise on its own. 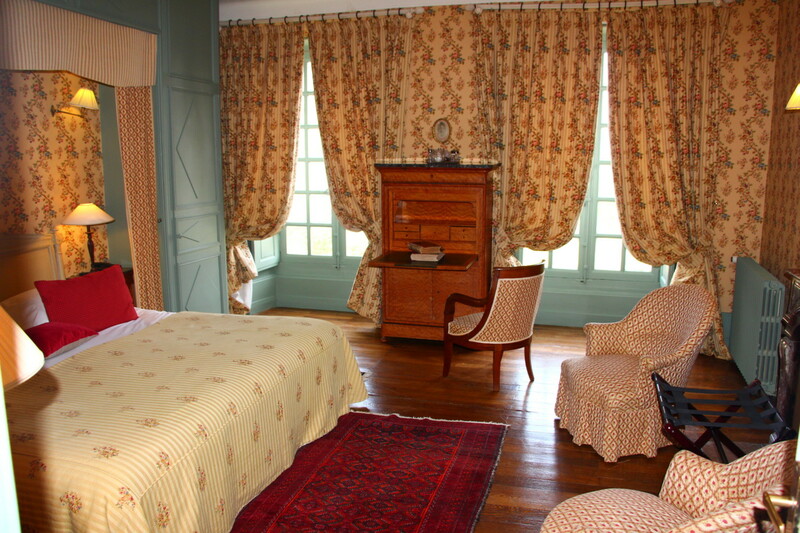 The back of Le Fruitier opens into the walled vegetable garden where you will find the swimming pool and tennis court. 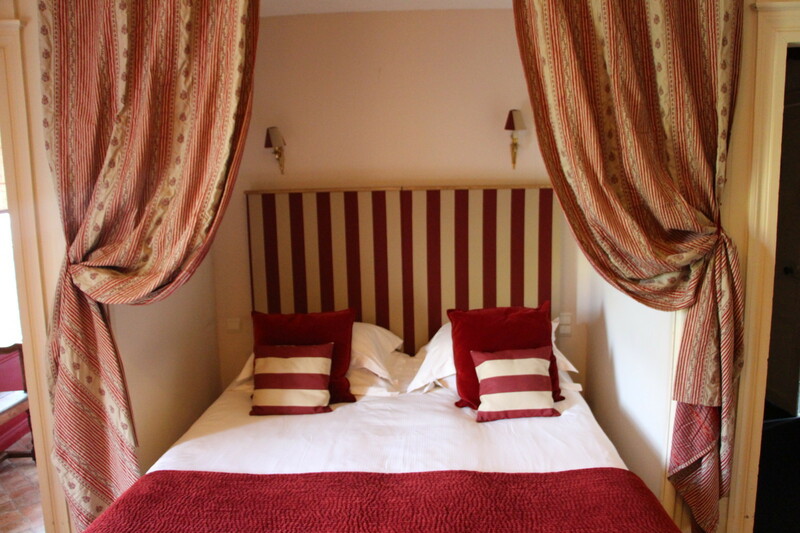 A perfect setting for a family or a group of friends to relax far from the stresses of town. 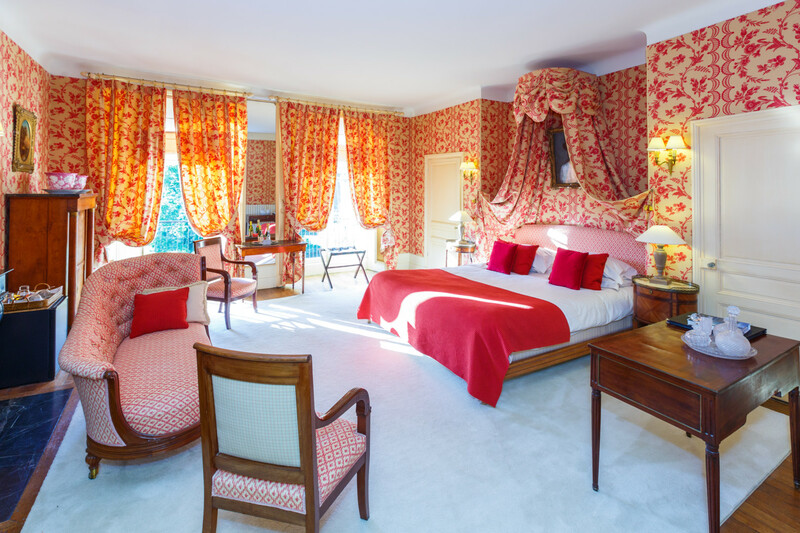 We offer you accommodation in the sumptuous rooms in the chateau, or something more West Coast in the rooms in the ‘Fruitier’ (formerly the chateau’s orangery). 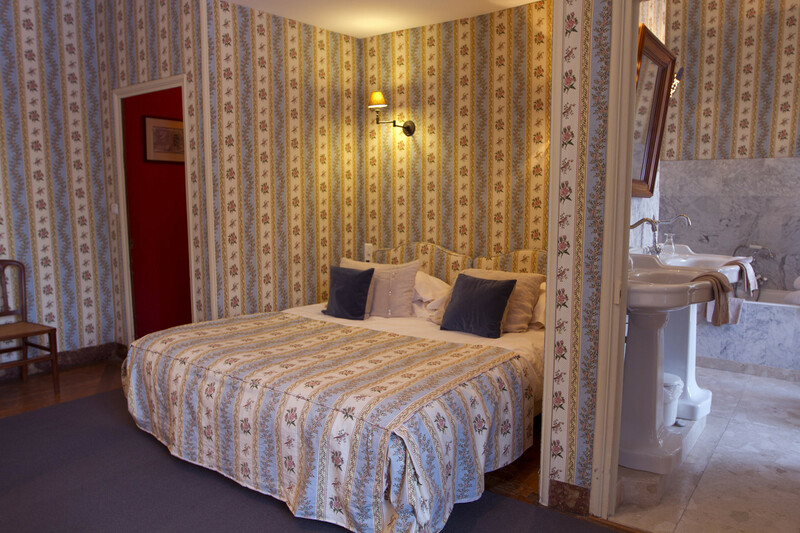 We are now able to offer you the possibility of sleeping like the Swiss Family Robinson, in our Lodge cabin. 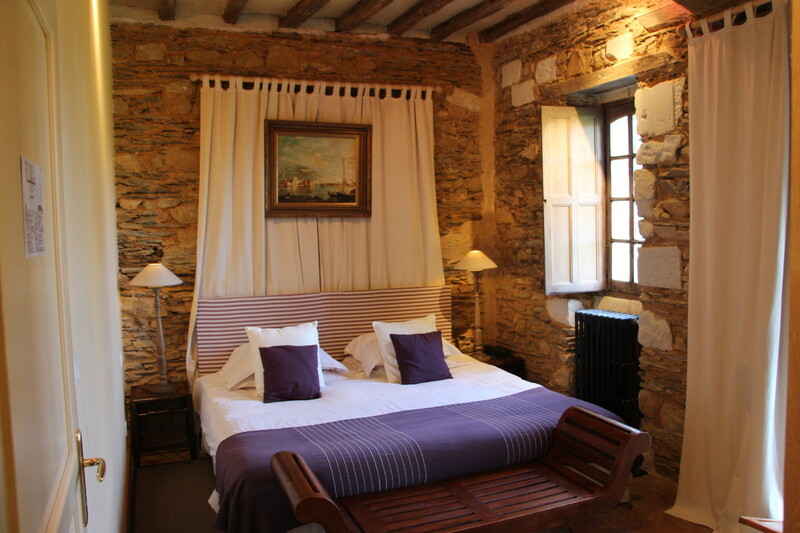 The Chateau de Briottières is a must if you are looking for something romantic and original, natural and authentic. Its landscaped park, covering 50 hectares, has a charming cabin offering peace and comfort in the heart of prestigious surroundings. 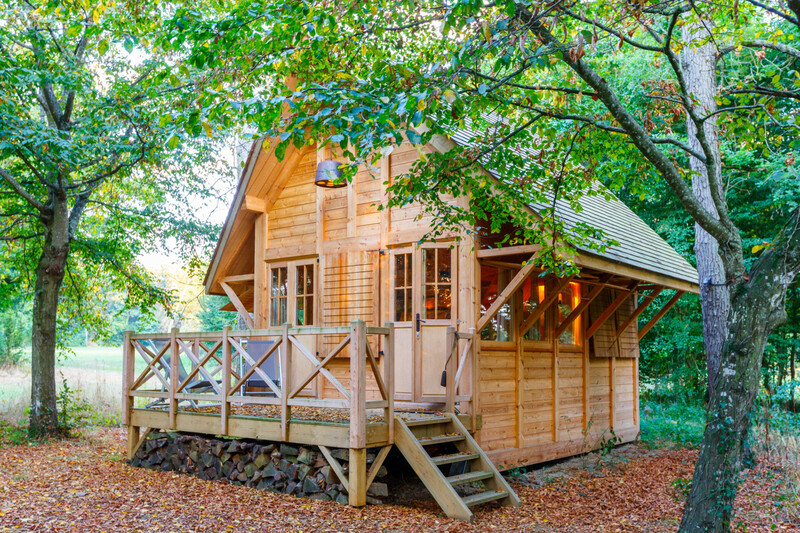 You will be entranced by this top-of-the-range suite, with its sauna, bathroom with two hand-basins, bath and shower, wood-burning stove and crafted furnishings. 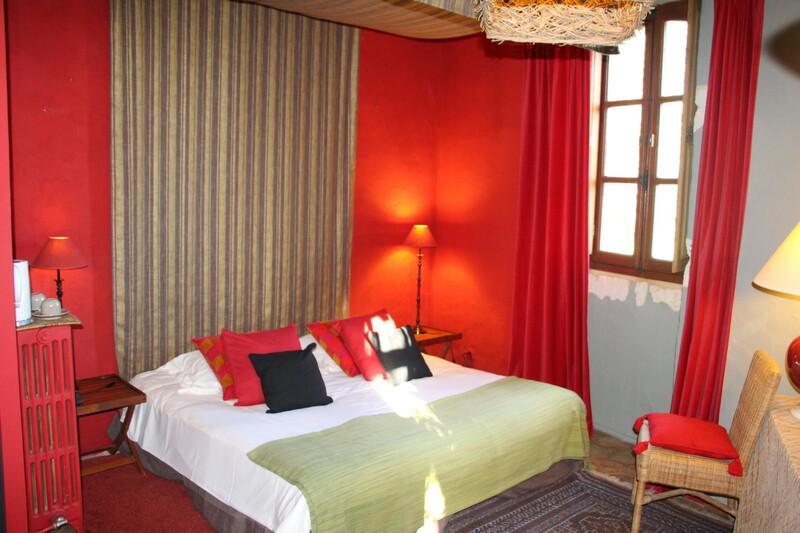 Designed for two people, with or without children (2), this is a charming little house (23 sq.m.) far from the hustle and bustle of the city. You may catch a glimpse of squirrels, rabbits, woodpeckers, owls and sparrowhawks, or perhaps some deer in the early morning.